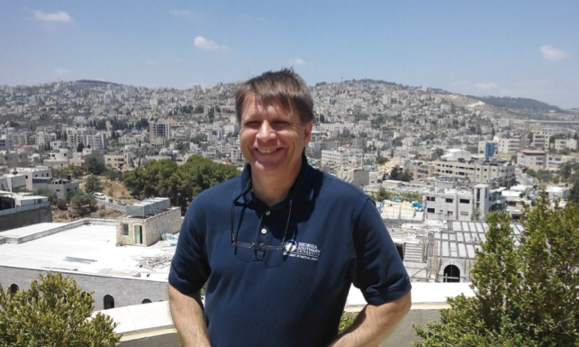 Dr. Jacek Lubecki, Professor of Political Science & International Studies, traveled all over the territories of Palestinian Authority, the administrative capital of Ramallah, refugee camps in the West Bank, Jerusalem, Bethlehem and Nazareth in Galilee (Israel). He met with Palestinian politicians, journalists, academics, artists, and common people. He will talk about this fascinating journal Wednesday, February 22nd from 11:00AM to 12:00PM.